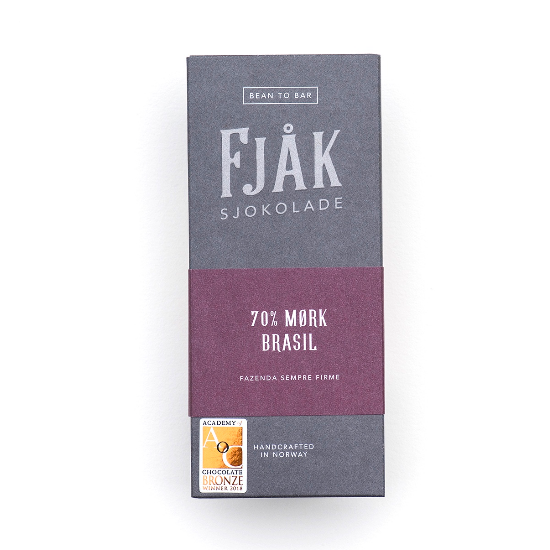 Fjak crafts its organic, ethically traded, bean to bar chocolate in the depths of Hardangerfjord in Norway. 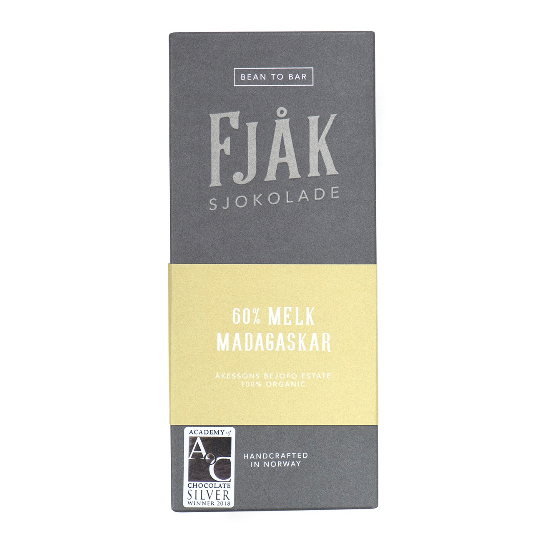 Sourcing its cacao beans from exciting origins far, far from Norway, Fjak is a chocolate maker that also likes to keep things close to home; it experiments with Nordic nature inclusions grown locally to the factory. Making chocolate since 2015, it was only late 2017 that Agur and Siv officially launched Fjak. Those initial two years acted as the experimental stage, where Agur and Siv endeavoured on the pursuit of crafting great chocolate – from ethics to flavour – with the vision of making production scalable from the get go. Fjak took its name from the Hardanger dialect, where people of a certain generation in the region would refer to each other as ‘fjak’. Roughly translating to ‘loveable’ or ‘honest’, Agur and Siv felt there was no other name better suited for their chocolate vocation. As chocolate is, after all, “the most loveable thing in the world”. At the 2018 Academy of Chocolate awards, Fjak made a powerful first impression, winning Best Newcomer amongst other Gold, Silver and Bronze awards. Fjak also took away six stars at the Great Taste Awards 2018 – the first Great Taste it entered – with the 70% Madagascar being awarded three stars. My background is in photography, where I have been working for the last 20 years as a photographer both in Norway and internationally. My other big passion was for food and food culture, which meant that I was always experimenting with and making different foods at home. Then I discovered how chocolate was made, which was fascinating for me, so I ran to buy a Premier Grinder while visiting the UK and brought it with me to Norway in my suitcase to try to make chocolate myself. Since then chocolate is the biggest love and part of my life. I think and dream about chocolate every day! Fjåk Chocolate project started in 2015 in our kitchen top when after watching some videos about craft chocolate we decide to purchase a little Premier grinder and a kilo of cocoa beans. 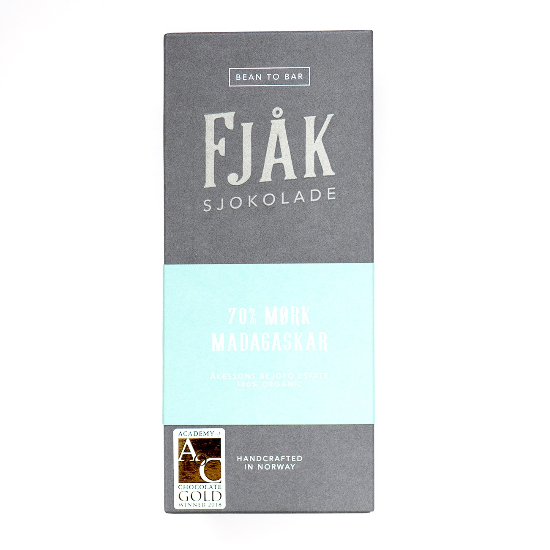 In 2017 we founded Fjåk Chocolate AS and in October that year we started to sell commercially. We are two founding partners in Fjåk, both women; Agurtxane Concellon (Spanish) and Siv Hereid (Norwegian). What mission have you set yourselves for making chocolate? Our mission is to be THE Norwegian craft chocolate maker, combining a Nordic touch to the international craft chocolate community. Working with fine quality organic cocoa and small farmers, to show our customers, especially in the Nordic countries, the diversity that real chocolate can bring. We are always experimenting with new flavour combinations and testing new beans from different regions, so we could say that we will be continuing to develop more chocolate bars and products, with new origins and also new Nordic inspired flavours. 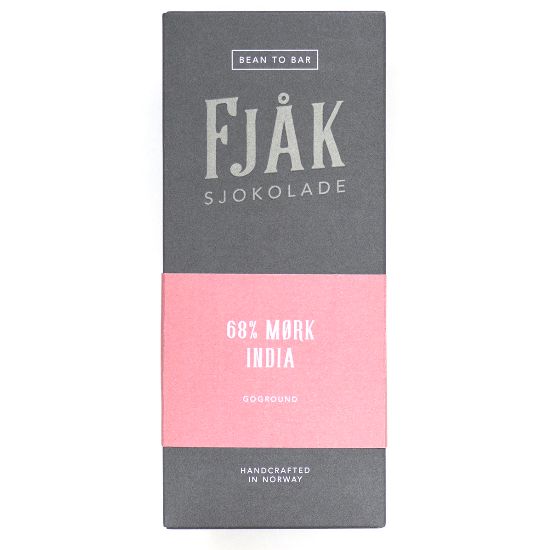 We hope to grow Fjåk into new markets in Europe and beyond especially with our chocolate bars. Our ‘bean-to-bon-bon’ range is also developed every season for the local markets in Norway. Who designed your packaging – and what are you most proud of about your packaging? Our packaging is designed by designer Ian Holcroft a British designer based in Bergen together with myself, Agurtxane Concellon. Together we are constantly developing our packaging, identity and communication. We source our cocoa beans mostly direct from the farm, in the case of our Madagascar and Brazil cocoa beans we source directly from Åkesson or through suppliers such as Uncommon Cacao or Cocoanect. I have a fascination for Gin, not because of the alcohol, but because of the use of botanicals that makes every Gin so unique. I love foraging in the Norwegian nature for all kinds of plants, berries and mushrooms that will inspired new chocolate bars. Among my favourite chocolate makers are: Fruition, Palette de Bine, Green Been to Bar… and many more, the list will be way to long. What chocolate achievement are you most proud of to date? To have manage, in less that one year, to have 7 Awards with our chocolate bars. All the bars we presented to the Academy of Chocolate Awards won an Award, for me this was so big considering that we are in the market just for 9 months.